SARASOTA, Fla., March 4, 2016 (SEND2PRESS NEWSWIRE) -- John Cannon Homes was the most recognized home builder in this year's Parade of Homes, sweeping the competition with sixteen awards including four in the category of "Best Overall," in a presentation held Thursday by the Manatee-Sarasota Building Industry Association. John Cannon Homes was awarded Best Overall for The Akarra III in The Vineyards at The Lake Club; The Avianna at The Concession; The Caaren, in The Links at Rosedale; and The Kiandra in Seacroft at Country Club East. The Akarra III was also recognized for Best Architectural Detail, Best Floor Plan, Best Kitchen and Best Master Suite; The Avianna won for Best Architectural Detail and Best Master Suite; The Caaren took the award for Best Curb Appeal and Best Master Suite; and The Kiandra won for Best Curb Appeal, Best Floor Plan and Best Kitchen. Cannon's new showcase home, The Miah, was awarded Best Kitchen in its category. "We are extremely proud of the accolades we received at the Parade of Homes," John Cannon, President, said, who has won over 300 Parade of Homes awards in the company's history. "We have an experienced team that has been together, some for more than 20 years, who know how to work together. Not many builders have a team in place that does it all - and as well - as we do." Cannon explained that he feels their award-winning success for their models reflect years of listening to clients effectively, something that brings additional value to both the builder and client in the process. "We feel that every award we receive is an acknowledgement of our commitment in responding to our clients' needs and their desires, which in turn is reflected in our models and design. "Everything we do with our models, we do for our clients. Value engineering, construction management, quality control, personal design consultation, are all components in successful building, not just the end result of architectural and interior design and all of these go into building a John Cannon home. "The feedback, working one-on-one with our clients, the constant exchange with them makes us better builders and designers," he said, "and they respond with praise and recognition. "Our customers really are the ones that guide us in setting the bar to the highest level." "There is a difference, obviously, between a Mercedes and other cars," Cannon said. "Any car can get you to your destination, but as our clients remind us, it's not just what you pay for the home that makes the difference - it's the overall value of the home for years to come." In the Sub-Contractor categories, Coast to Coast Pools, was awarded Best Pool Design for four John Cannon Homes; The Akarra III, The Avianna, The Baylee and The Kiandra models. Pool Design Concepts received the Best Pool Design for The Miah. Artistree Landscape Design was also awarded Best Landscape Design for The Akarra III model. Photographs, floor plans and virtual tours of these winning homes can be viewed by visiting http://www.johncannonhomes.com/. There were 110 single-family home entries considered in the competition. The award-winning Cannon models range in size from 2,800 to 5,000 square feet and showcase nearly 30 years of John Cannon's Design/Build expertise. In addition to these awards, last week John Cannon Homes was again acknowledged as Best Builder in Sarasota-Manatee County by readers of the Sarasota Herald-Tribune, an award he has received for the past 24 consecutive years. Along with his six current homes, Cannon's new model at MiraBay on Tampa's South Shore will be featured in the Tampa Bay Parade of Homes, beginning March 5, 2016. The Manatee-Sarasota Building Industry Association (MSBIA) is a membership driven networking and advocacy group focused on the needs of the building & development industry and related business in Manatee and Sarasota Counties, according to their website. As of September 2015, there are more than 325 members comprised of builders, developers, local municipalities, consultants and supporting businesses. The association is affiliated with both the Florida Home Builders Association and the National Association of Home Builders. For more information, visit: http://www.johncannonhomes.com/. * Winner of Best Overall, Best Architectural Detail, Best Floor Plan, Best Kitchen, Best Master Suite: The Akarra III. * Winner of Best Overall, Best Architectural Detail, Best Master Suite: The Avianna. * Winner of Best Overall, Best Curb Appeal, Best Master Suite: The Caaren. * Winner of Best Overall, Best Curb Appeal, Best Floor Plan, Best Kitchen: The Kiandra. * Best Kitchen: The Miah. * Landscaping: The Akarra III. *Photo Caption: The Avianna at the Concession, Bradenton, FL - Best Architectural Detail. To view the original version on Send2Press Newswire, visit: https://www.send2press.com/newswire/john-cannon-homes-sweeps-2016-parade-of-homes-wins-16-awards-4-best-overall-2016-0304-03.shtml. NEWS SOURCE John Cannon Homes :: This press release was issued on behalf of the news source (who is solely responsible for its accuracy) by and Copr. 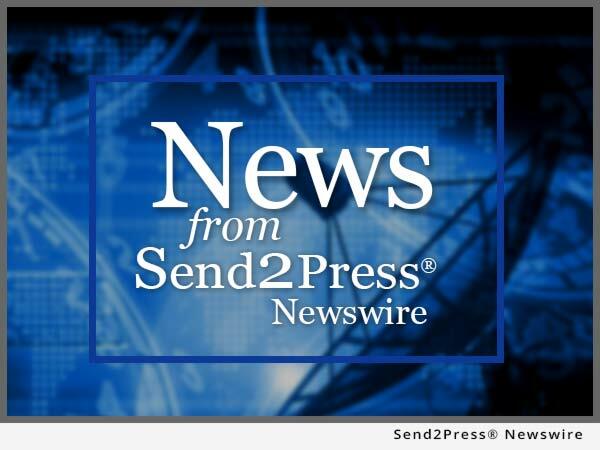 © 2016 Send2Press® Newswire, a service of Neotrope®.